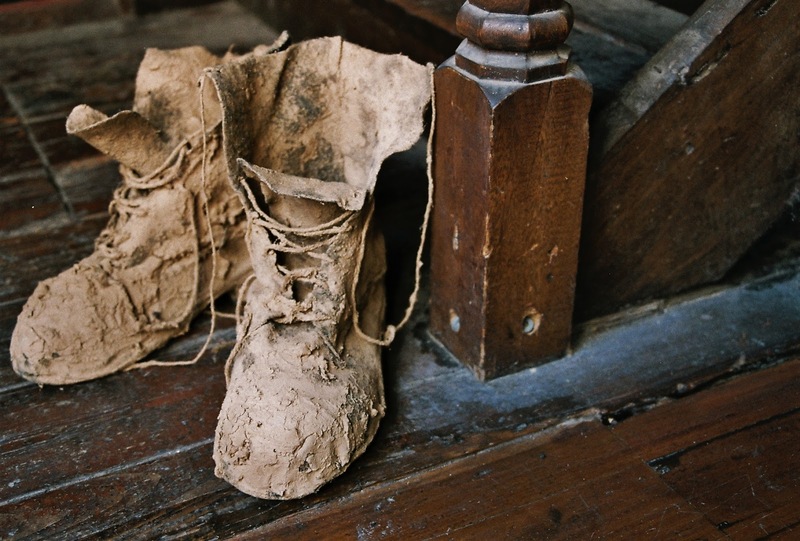 THAT HE WOULD NEVER BE THE SAME MAN AGAIN..."
ART Civil war boots . Soldiers boots . Textile boots . American civil war textile .